and Elegant Metro Launcher in the Market. Androse 8 Pro The most Customizable, Colorful, Complete, and Elegant Metro Launcher in the Market. 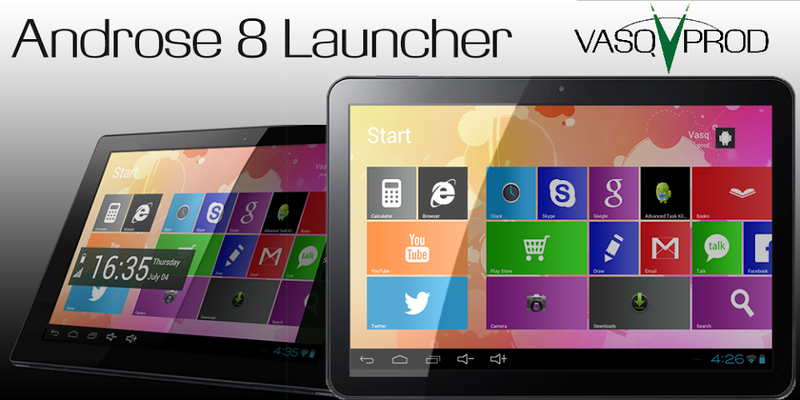 Attach your 2nd favorite launcher to the Androse desktop and use them at same time! Windows Â® is either a registered trademark or a trademark of Microsoft Corporation in the United States and/or other countries.